During the first two weeks of May 2017 he was visited six times by military intelligence. On several occasions, he received anonymous late-night phone calls. Between 16-20th May he was summoned by the police three times to provide statements. And yesterday, a court order restricting his activity and mandating an official investigation in the interests of “national security”, was extended by a further two weeks. For a month in which there were over 20 reported attacks and hate speech incidents targeting minority communities across Sri Lanka, many would be forgiven for assuming this recent flurry of police activity to be in connection to one of the several high profile nationalist extremists allegedly involved in orchestrating the latest wave of intimidation . The individual in question however is Father Elil Rajendram, a Tamil Jesuit priest and human rights defender based in the North of Sri Lanka. The activity that has so captured the attention of the police and intelligence forces: his role in organising a remembrance service for Tamil war victims on the 8th anniversary of the end of the armed conflict. 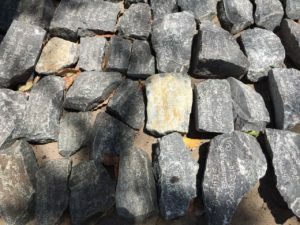 The service, which was planned to take place on 18th May in the vicinity of St Paul’s Cathedral in East Mullivaikkal – the date and site of the war’s conclusion – was the third of its kind to be held openly in the area since 2009. Following years of aggressive crackdowns against commemoration activities under former President Mahinda Rajapaksa, during which public mourning by Tamils was effectively criminalised, early shifts initiated under the Presidency of Maithripala Sirisena seemed to suggest a relaxing of the government’s heavy-handed approach. Remembrance activities in 2015 and 2016 saw continued high levels of surveillance and judicial obstruction, but a decline in incidences of physical obstruction and explicit threats against organisers – as well as an overall decrease in the presence of military personnel around events – prompted some cautious hopes about the direction of change. The latest wave of persecution against Father Elil and others has however dimmed those hopes, exposing the hard limits that the government of Sri Lanka continues to impose on the rights of it is Tamil citizens to grieve. They are limits that not only aggravate the personal anguish of those seeking to remember their loved ones, but which also continue to foster the kind of mistrust which make reconciliation and lasting peace impossible. In a worryingly regressive move by the Sri Lankan authorities, a court order was issued against Father Elil on the evening before the event prohibiting any commemoration activity on the land adjacent to the Cathedral. The order was duly observed by participants on May 18th, who conducted the service within the grounds of a nearby church amid oppressive surveillance, yet harassment of Father Elil has continued unabated since. The source of interest by the police and intelligence services appears to relate to plans by local family members participating in the service to lay stones carved with the names, ages and dates of death of their loved ones in a nearby field – with anxiety stemming in particular from speculation that some of those names might include former LTTE cadres. No evidence has been provided by police to substantiate such links. Irrespective, there exists no legal basis for the suggestion that they could give rise to criminal wrongdoing. While police officers involved in the case have continued to allude to provisions in the Prevention of Terrorism Act (PTA) regulation prohibiting the use of LTTE symbols as justification for their ongoing investigations, plainly even the most blanket provisions in this draconian legislation were not designed to ban the use of names of former combatants in this way. The right to remembrance is a fundamental and universal one, and it is not open to any government to restrict it on the basis of the affiliation of the dead. For the Sri Lankan authorities to suggest otherwise indicates a chillingly authoritarian attitude towards the rights to freedom of expression, thought and memory of their citizens. It also gives rise to the prospect of a particularly cruel form of double punishment against those families mourning loved ones who were forcibly recruited into the LTTE’s ranks during the final stages of the war. Despite various interventions last week from Sri Lankan civil society groups, senior diplomats, and international human rights organisations the Sri Lankan authorities have showed few signs of letting up their campaign of harassment and intimidation. 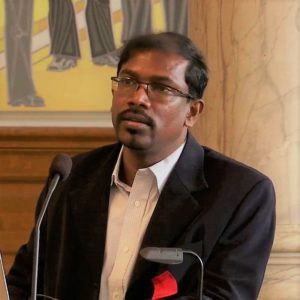 The government of Sri Lanka must now urgently act to put an end to this disturbing series of events, by intervening to see that the court order extending investigations to the 12th June is rescinded, and by calling for an immediate halt to surveillance of Father Elil and his colleagues. The international community for its part, must take a firmer stand. Justifying the recent decision to restore GSP+ preferential trade status to Sri Lanka, EU Trade Commissioner Cecilia Malmstrom insisted earlier this week that no “blank cheque” had been granted to the government of Sri Lanka, and that the EU would continue to act to “hold Sri Lanka to its commitments to improve human rights”. Now is the time to show the world what that means – by standing up for Father Elil, and for the rights of all Tamils to remember. Act now: join Amnesty International’s Urgent Action in support of Father Elil by writing to one of the named Sri Lankan government officials, or to your local political representative. Encourage the international community to raise this case with the government of Sri Lanka by tweeting your concerns to the following handles: @EU_in_Sri_Lanka @MalmstromEU @UKinSriLanka @USEmbSL @CanHCSriLanka. Thank you.